Discover God's Heart for Muslims: Investigate Islam through this positive and hopeful 640-page book. 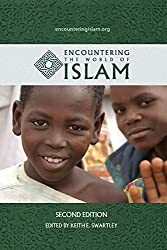 Encountering the World of Islam explores the Muslim world and God's plan for Muslims. Read from a collection of writings about the life of Muhammad, the history of Islamic civilization, Islamic beliefs, Muslims today, and the everyday lives of Muslims from Morocco to Indonesia. Gain insight from 80 different practitioners into diverse Muslim cultures and worldviews as well as Christian outreach toward Muslims, our response to Islam, and prayer for the Muslim world. This book is used as the textbook for the Encountering the World of Islam course.